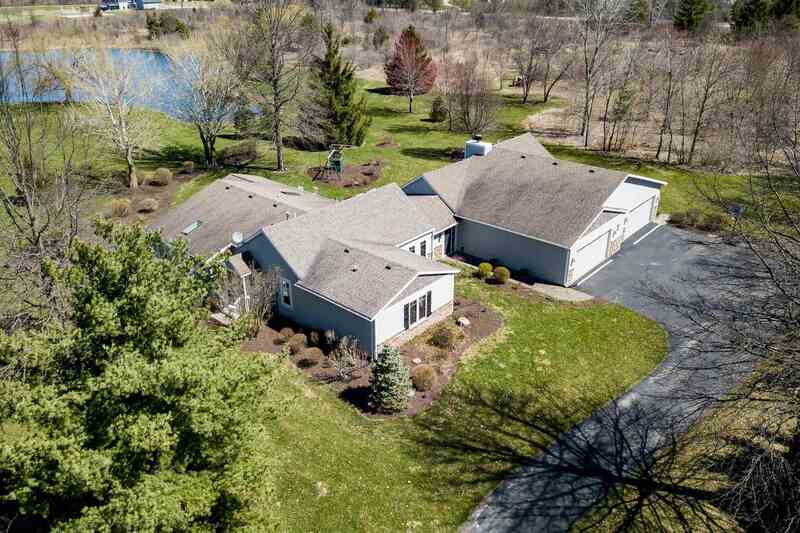 Situated on 1.5 acres in Aboite township is a beautiful ranch that has the best of both worlds â the comfort of privacy and the close proximity to all the best southwest Fort Wayne has to offer. Looking out towards the backyard are immaculate nature views of the pond and surrounding mature landscaping. In the backyard, you'll also find a paver patio, a finished deck, and a firepit â all perfect for outdoor entertaining. Throughout the home you'll find an abundance of natural light as well as a mixture of painted and natural woodwork, giving the home an ideal balance of country and modern touches. The living and recreation rooms are both ideal for entertaining and for a relaxing evening by the fireplace. This four-bedroom home has three bedrooms with ensuites, while the fourth bedroom is currently being used as a den. The four-seasons sunroom can be used year-round and looks out over a large flat lot which showcases both sunrise and sunset views. The kitchen is large and bright with a center island, stone countertops, a walkout to the 4-seasons room, and under and above cabinet lighting. This home also has an oversized four-car garage, equipped with plenty of storage for all of your cars and toys. TV mounts do not stay. Walls will be patched. TV, pool table, and refrigerator in game room are negotiable. The car lift goes with the seller.